Dr. Yuri Berlin has been a research professor at Northwestern University in Evanston, IL, since 2006. WINNETKA, IL, September 14, 2018 — Marquis Who's Who, the world's premier publisher of biographical profiles, is proud to present Yuri Berlin, Ph.D., with the Albert Nelson Marquis Lifetime Achievement Award. An accomplished listee, Dr. Berlin celebrates many years' experience in his professional network, and has been noted for achievements, leadership qualities, and the credentials and successes he has accrued in his field. As in all Marquis Who's Who biographical volumes, individuals profiled are selected on the basis of current reference value. Factors such as position, noteworthy accomplishments, visibility, and prominence in a field are all taken into account during the selection process. Dr. Berlin has been a research professor at Northwestern University in Evanston, IL, since 2006. Prior to this position, he was the university's senior research associate between 1999 and 2005 and professor of theoretical physics and biophysics at the Technical University of Munich from 1994 to 1999. He was also the senior researcher of the N.N. Semenov Institute of Chemical Physics at the Russian Academy of Sciences in Moscow, Russia, from 1993 to 1995, and a professor of physics and theoretical chemistry at the Institute of Molecular Science in Okazaki, Japan, from 1993 to 1994. In addition, he has held numerous research and engineering positions at the Russian Academy of Sciences between 1968 and 1993. In conjunction with his research roles, he has been the chairman and discussion leader of several conferences, including the Miller and Gordon Research Conferences since 1997, as well as an adjunct lecturer at both Northwestern University and the Moscow Institute of Physics and Technology. Dr. Berlin earned a master's degree in physics from the Moscow Engineering Physics Institute in 1968. He went on to receive a doctorate from the Moscow Institute of Physics and Technology in 1974. He is known for his fundamental results in charge transfer in DNA, foundations of dispersive kinetics, molecular electronics, radiation chemistry and charge transfer under extreme conditions. Between 2005 and 2017, he was elected as an executive committee member of the Miller Trust for Radiation Chemistry in the United Kingdom. He also served as co-chair of the program committee for the Soviet-French Seminar on Electronic Processes in Condensed Media from 1987 to 1991. 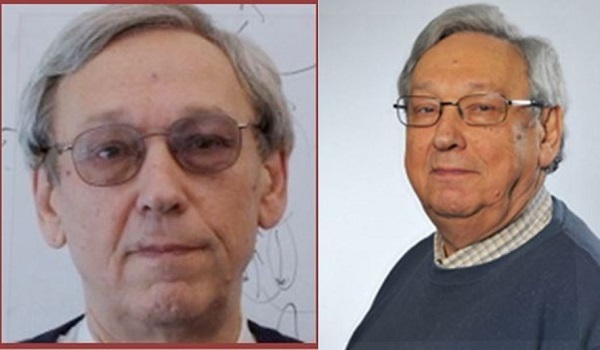 In addition to these roles, he was a guest editor of Chemical Physics and on the editorial board of the Journal of Chemical Physical Reports, and has contributed to approximately 150 publications. Dr. Berlin was awarded the Erasmus Mundus Professorship Award by the European Union in 2009, as well as the Scientific Award by the Hans Veilberth Foundation in Germany in 2007. He has also received awards from the National Aeronautics and Space Administration and the Netherlands Organization for Scientific Research, as well as grants from organizations including the International Science Foundation and the German Research Foundation, among others. He is listed in several editions of Who's Who in America, Who's Who in Science and Engineering and Who's Who in the World. In recognition of outstanding contributions to his profession and the Marquis Who's Who community, Yuri Berlin, Ph.D., has been featured on the Albert Nelson Marquis Lifetime Achievement website. Please visit www.ltachievers.com for more information about this honor.